While people joke that 'book' club is a euphemism for 'wine' club, an actual wine club is considered to be something terribly serious indeed. Which is a complete misconception. Because it can be exactly what you want it to be. You don't have to be a wine expert to start one. An interest in wine, and in drinking it with other people, is about all you need. Apart from the wine, that is - and that's where it gets interesting. Get eight to 10 people to put €15 each into a kitty and, all of a sudden, you have a budget which gets you bottles of wine that you would never pick off the shelf on your own. I've been in a number of different wine clubs over the years. At one stage I was in three, which even by my standards seemed a bit excessive, so my wine club habit is now pared back to a very respectable single gathering each month. We live within a half-mile radius of each other, and every month one of us hosts the wine club in our house. What was a Thursday meet-up quickly moved to Friday once the recession hit and became the social highlight of the month. With a budget of about €150, the host picks a theme, say Spanish wines, and gets a selection of six to eight red and white wines across a price range. Now, you may be thinking that's easy for me to say but, if you'd like to give it a go, I've got the perfect solution. Jérémy Delannoy has been working in the wine trade for years and set up an online sommelier business last year called Sommeliers in Your Pockets. The idea is he hunts down interesting selections of wines from distributors, sells them on his website, siyps.com, and delivers nationwide. He has also started doing wine club kits so, when I was hosting our club recently, I decided to send him a brief. I didn't have to chase around town going to different off- licences to get the cross-section I wanted; he did the hunting and then he delivered the bottles to my door. I had picked 'interesting wines from Portugal' as the theme and limited it to a selection of six so that I could up the spend on the bottles a bit. With two whites and four reds, and prices ranging from €19 to €68, it made for a very interesting evening - all for the price of one expensive cocktail per person. I've included one of the wines in the Portuguese choices below. Jérémy has a Wine Club section on his website where you will find these kits, which range from €100 to €140 for six bottles, and come with tasting notes, tasting sheets and a map covering the region. He has started with three themed kits: Spanish classics, France's Loire Valley, and Pinot Noir from France, Italy and Germany. 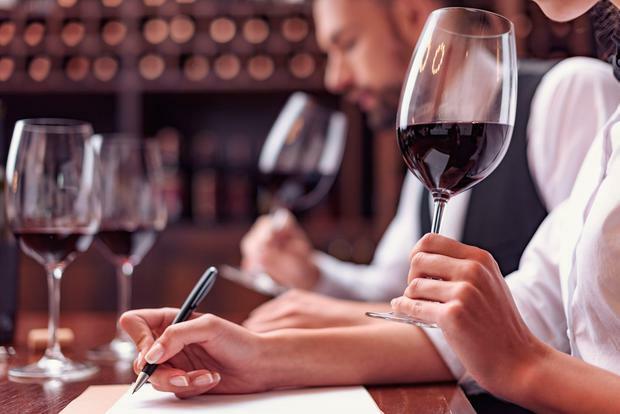 If you've really got the wine bug and would like to do a quick but intensive course, Maureen O'Hara of Premier Wine Training is running the French Wine Scholar Course in September, which includes three days' tuition (Saturdays), a 300-page study manual, one year's access to online support material, the exam fee, access to Quizlet revision questions, and a set of tasting glasses. Places can be booked at premierwinetraining.com by August 10. Vinho Verde, with its light spritz will be familiar to anyone who has travelled to Portugal and this summery wine is made from 100 per cent Arinto, a native grape and has notes of lemon and silky white peach balanced with refreshing acidity. 12pc, from Listons, Jus de Vine, Martin's, 64 Wine, Blackrock Cellar, The Wine Library, Green Man Wines, all Dublin; Manning Emporium, Bantry, Matson's Winestore, both Cork; World Wide Wines and Siyps.com. Made from 60 per cent Bical and 40 per cent Arinto, this biodynamic white wine has plenty of complexity with fresh lemon and a stony minerality balanced with richer hints of nuts. Porta 6, 13pc, €12.95 O'Brien's and obrienswine.ie Perfect for barbecues and summer drinking, this Portuguese red is made from a blend of Tinta Roriz, Castelão and Touriga Nacional, with juicy flavours of red and black fruit and a kiss of oak. Pair it with lamb, beef or chargrilled aubergine. Vale da Capucha Fossil Tinto 2015, 13pc, €18.50-€20 Lilac Wines, Green Man Wines and Martins, Dublin, and siyps.com This organic wine made from Touriga Nacional, Tinta Roriz (Tempranillo) and Syrah is deliciously vibrant, with a good concentration of fresh red fruit - cranberry and wild cherry - flavours, plus a hint of smoke.